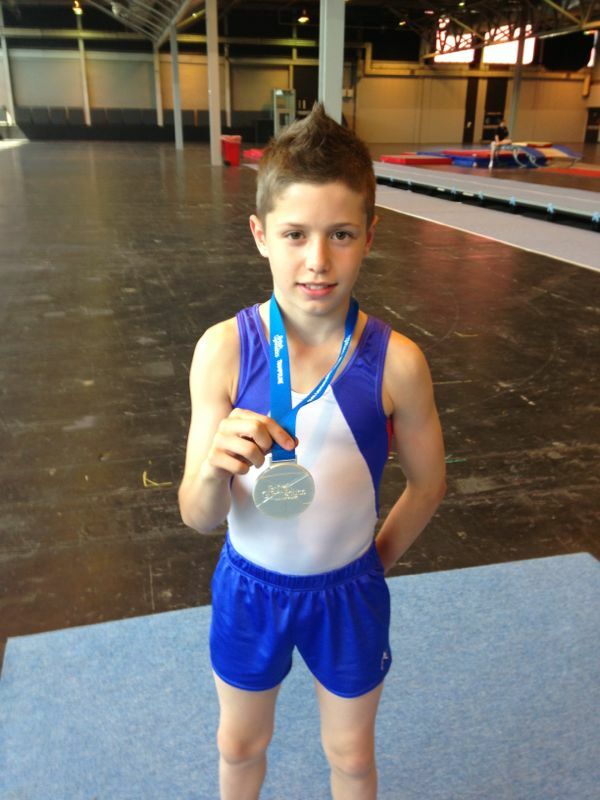 The weekend of 6th/7th July saw the staging of the British Trampoline, Tumbling and Double Mini-trampoline Championships 2013 at the Birmingham NEC LG Arena. 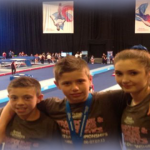 City of Birmingham Gymnasts featured in the Tumbling Championships and all qualified on the Saturday through to the finals on Sunday. 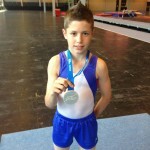 GB International & National squad member Jaydon qualified on day one in second position and maintained that on day two, the finals, finishing in overall second place taking the the silver medal in the Mens 11-12 Category. His medal winning tumble runs were: 1. 6 whips into full in pike out 2. 6 whips into double pike. 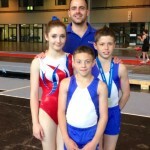 In the Mens 13-14 Category finals, GB Mens Artistic Squad member, Kallum scored 59.100 taking the overall 4th position having had an excellent championships. His finals tumbles were 1. 5 whips, flic into double pike. 2. Baranie, 5 whips, flic into double tuck. In the Womens 15-16 age group championships Louisa qualified in 5th place on day and finished in 6th Overall position on finals day with a score of 60.7. Her championship tumbles were 1. Baranie, 5 whips, flic into double pike. 2. Whip, whip360, 3 whips, flic double tuck. A special congratulations to Harrison who competed in the 9-10 Category in his first British Championships and not being overawed by the situation. His tumbles were 1. one Whip into 5 flics tuck. 2. one Whip into 5 flics straight. 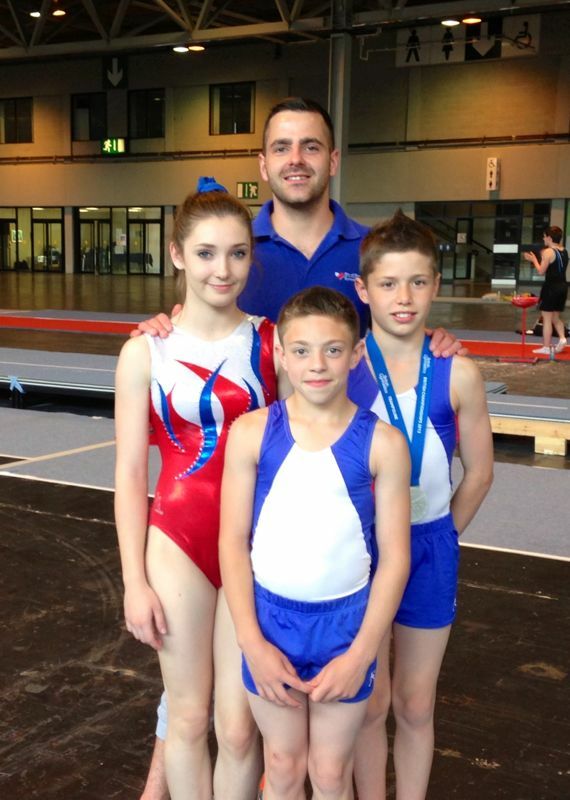 A great day for City of Birmingham Tumblers.